Kumari Bank Ltd. and Small World Financial Services Group Limited have signed an agreement to extend remittance service throughout the Nepal. The agreement for remittance payment was signed by Surender Bhandari, Chief Executive Officer, of Kumari Bank Ltd. and Nicholas John Stewart Day, Chief Executive Officer of Small World Financial Services Group Limited. 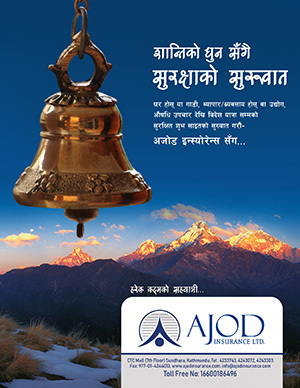 With this arrangement, the remittance sent across the globe through Small World service (Both over the Counter and through online Remittance service of SW) can be received instantly from the 89 branches of Kumari Bank and approximately 8500+ Kumari remit agents network spread across the nation. The service can also be used for the account credit to any banks in Nepal and thus the remitter can send the remittance directly their beneficiary bank account without any hassle.